School is back in session, and things are starting to get really, really busy for me again, and I fear cooking will, once again, start to take a back seat. And I’m okay with that! What that means for Eat.Live.Blog is that my recipes will get much easier. It also means that as soon as I receive my new crockpot from West Bend, you will begin to see quite a few slowcooker recipes. 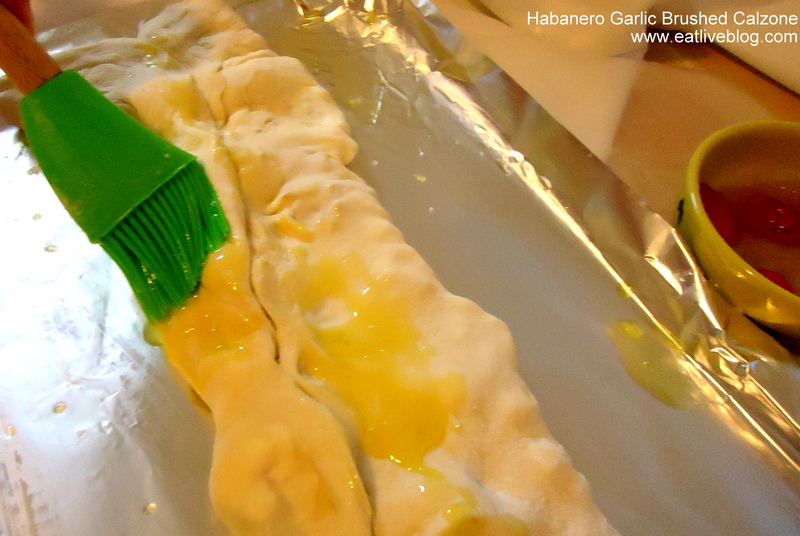 Habanero and garlic brushed calzones are a first step towards simpler. 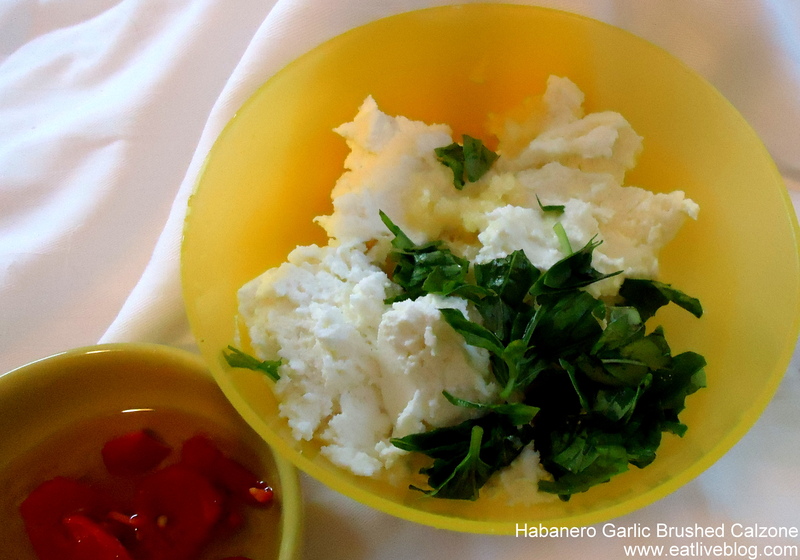 Please note: store-bought pizza dough. Two things. One, why spend the time making dough when you can buy perfectly delicious dough for like $1. And two, it is well documented through my Twitter account that I am deathly afraid of yeast. Ever since our habanero plant blossomed, we have been adding spice to just about EVERYTHING. And these suckers are spice-eeeee…and I love it! 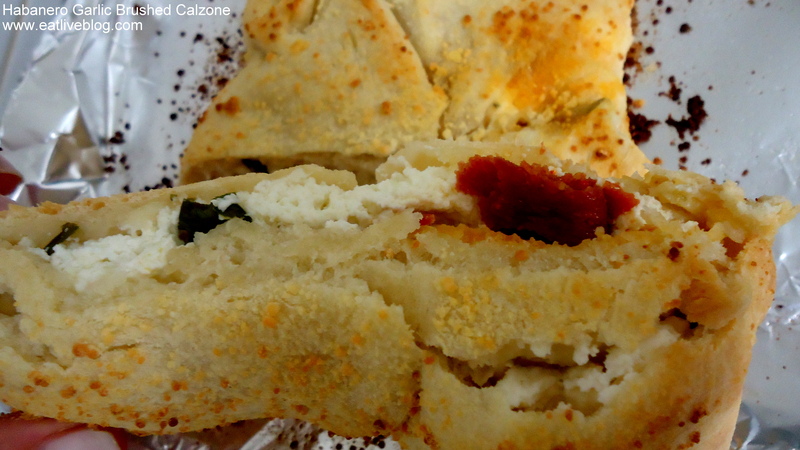 So, when I decided on calzones, of course the habaneros had to be included. I decided on just brushing on the spice for a lighter kick after a spaghetti sauce the night before bordered on burning our faces off….and I loved it! The longer you can let the ingredients in the oil and the cheese mixture meld for this recipe, the more pronounced the flavors will be. 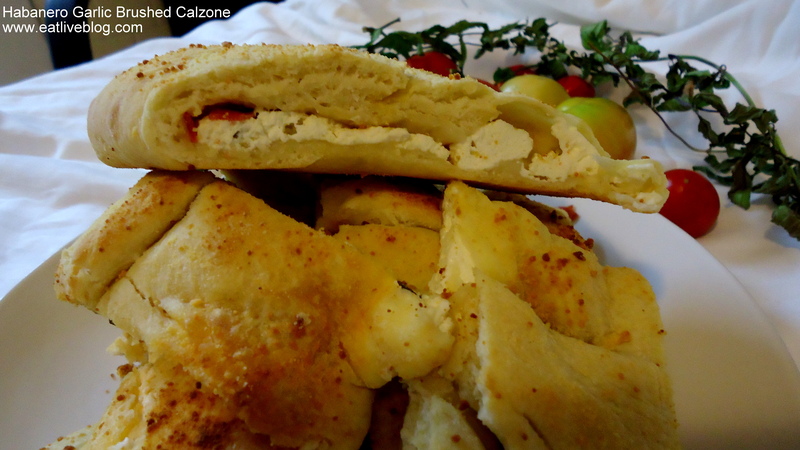 Of course, as always, this recipe is extremely friendly and easy for you to adapt to include your own favorite calzone ingredients. 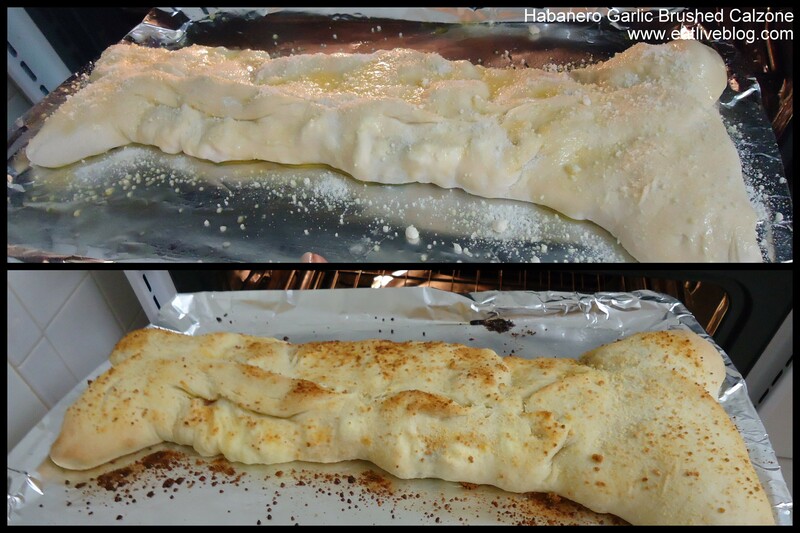 Place on the middle rack of your preheated oven, and cook for 20 – 30 minutes, or until the dough is cooked through. I have a lovely bag of habaneros in the freezer from my mom’s garden. And as you know, I’ve been incredibly busy the past month or so. I’m looking forward to relying on my handy slow cooker as things get hectic! These sound amazing. And that crock pot is going to save your life! I love yeast baking so it’s definitely worth getting over your fear. 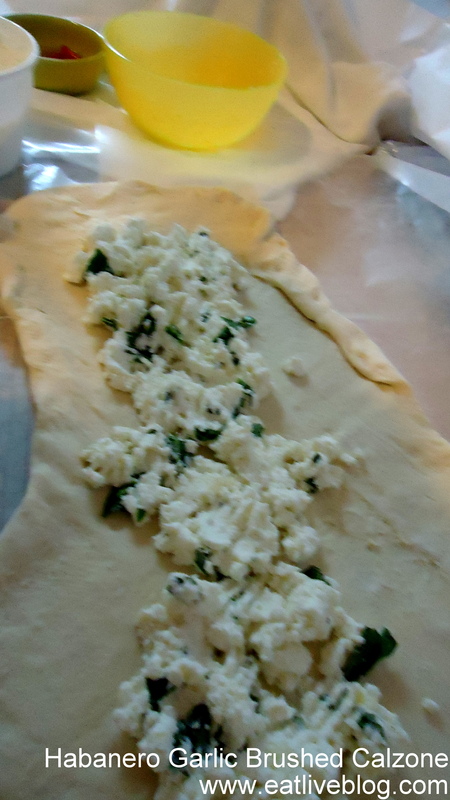 A few years ago I took a bread baking class through brookline adult ed that was fantastic! I think that is what I am going to have to do to get over this….